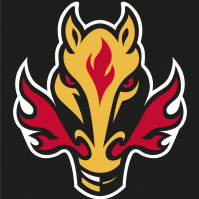 1998-2006 Calgary Flames Black "Horsehead"
Hey, as long as they are authentic I am not concerned of the size. My main priority is condition. And my main focus is on the Horse alt jersey. Thanks! Wants: Always looking for authentic Calgary Flames black "horsehead" alternates 2004 flames cup patch jerseys (home preferably) I would prefer new condition but understand this is unlikely due to their age. Not concerned of size as long as its authentic. If any of you know where to find one that would be awesome! Thanks! Hey all, I am a fairly new collector of jerseys and I am looking for a few of my favorites. 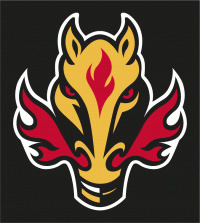 I am searching for an authentic Calgary Flames 1998-2006 Black alternate Horse Jersey and authentic 2003-2006 Flames Home Jersey (With the black "flaming C" and horse shoulder patches). I would prefer new condition but understand this is unlikely due to their age. If any of you know where to find one that would be awesome! Thanks, and happy collecting!